Now, this may sound confusing, but the official Android 6.0.1 Marshmallow firmware from the Samsung Galaxy S6 Edge Plus SM-G928C can now be flashed onto the SM-G928F variant with the help of proper PIT files. Members at XDA forum have managed to successfully port the official stock firmware from the G928C variant that received the Marshmallow update recently. 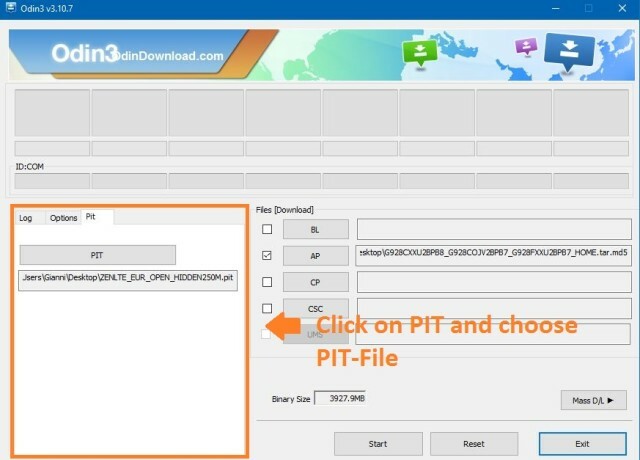 All you have to do is grab the PIT files for your variants along with the firmware file from below and just flash it using Odin software. The required files have been listed below. 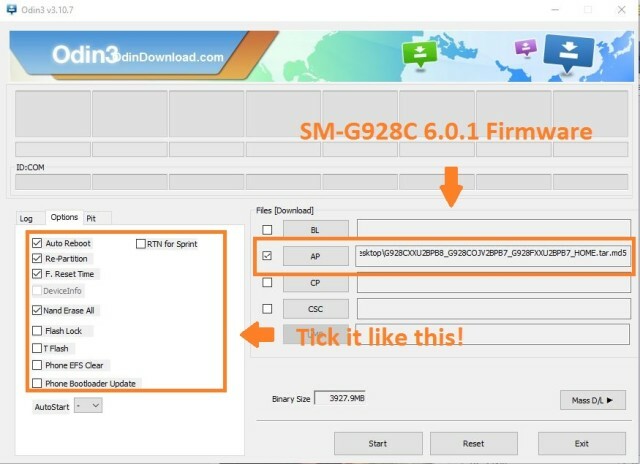 Go through the download section and go through the instructions carefully in order to flash the firmware. Remember, this may trip the knox counter. Some have reported that it will trip knox, however, some have managed to keep the knox to 0x0. So go through the source as well. Step 6: Now click on AP button and add the firmware file by navigating to the file path. Once added, it should show like in the image. Take care that only Auto Reboot, Re-Partition, F.Reset Time and Nand Erase are selected in the Options tab.